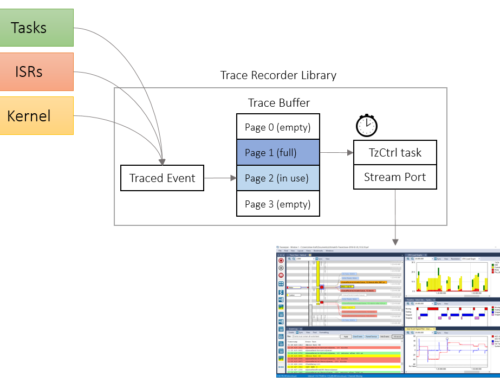 To run Tracealyzer 4 on Linux, the first thing you’ll need is Tracealyzer version 4.2 or later. Next, you need to install Mono. For most distributions there’s a package called “mono-complete”, though some distributions and package systems may instead use simply “mono”. There may be additional requirements, in particular for Debian/Ubuntu- and Fedora-based systems. See below for distribution specific instructions. Once done, you will need to unpack the Tracealyzer tarball into a suitable location. Your installation is complete! You can now run Tracealyzer using the launch-tz.sh script. On some distributions you need to install additional libraries. Below is a list of instructions for the distributions we have tested on. The packages required to run Tracealyzer can installed by the following command. Note that the distribution maintained package for Mono might be outdated. The Mono team provides official packages that are up to date. Note that the distribution maintained package for Mono might be outdated, in which case you may need to build Mono yourself as the Mono team does not provide official packages. See github.com/mono/mono for source code and build instructions. We are currently developing and testing Tracealyzer 4 on Ubuntu 18.04, Fedora 28, OpenSUSE Leap 15 and Manjaro XFCE Edition 17. Tracealyzer is not guaranteed to work on other distributions or versions, but we always strive for maximum compatibility with other distributions and versions. To run Tracealyzer, you will need an up to date version of Mono with full WinForms and libgdiplus support. For most distributions, you can simply install “mono-complete” or “mono” using your package manager. If no such package is available, you’ll need to manually build and install it, see mono-project.com for source downloads and instructions. As of Tracealyzer 4, we are also bundling a web browser based on CEF – the Chromium Embedded Framework, which has its own dependencies. In particular, it depends on libgconf 2.4 and libXss that may not be included in a fresh distribution installation. Packages for these are commonly available as libgconf-2-4 and libXScrnSaver respectively. In case you have problems getting started, please contact support@percepio.com. With Tracealyzer 3.x, it was often possible (though unsupported) to run the Linux version on other operating systems, such as MacOS X. Due to an increased number of native libraries, this is no longer possible as of Tracealyzer 4. A version for MacOS X in particular is in development, please contact support@percepio.com for more information and to request beta access. By default, Tracealyzer 4 on Linux will install the license for the current user. If the machine is shared between multiple users, it may be desireable to install the license machine wide instead. To do so, copy License.xml (for a node locked license) or LMConfig.xml (floating license) from “~/.config/Tracealyzer Data” to “/usr/share/Tracealyzer Data”. If you have questions about Tracealyzer licensing, please contact sales@percepio.com. In order to use the built-in support for SEGGER J-Link debuggers, you’ll first need to download and install the J-Link Software and Documentation Pack from SEGGER’s website. Depending on package used, you may also need to create a link to libjlinkarm.so in your Tracealyzer application directory.